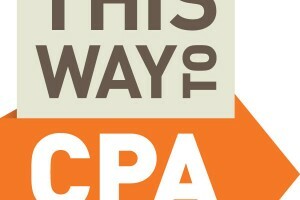 CPA = Cost Per Action defines this one. The other days I was talking about PPD which has some kind of relationship with this one. However CPA is an online advertising pricing model, means an advertiser is paying for a specific action. Example: an impression, a click, a form submit like newsletter sign up or website registration etc. Model of affiliate marketing where you search leads for a company. Being an affiliate you are paid around $1 to $20 per lead that is complete with customer phone number, address and all other asked details. Marketing type is best done by those Internet webmasters and who have been successful into affiliate marketing in the past like John Chow and Jeremy ShoeMoney because they learn in no time the demands of population on large scale and they have media infomercials. To begin first of all you need to create your website. Is not that hard you're thinking my friend. To be honest with you, when I first started I had ZERO knowledge into everything, I mean it. Never be afraid by unknown! Be as much optimistic you can. You know when you start you're going to earn small amounts of cash, sometimes you earn nothing. It's OK! I've been through this, it's a process you know, you can't get rich quick working online.